Zach Lofton has already beaten the odds – how far can he go with the Pistons? Zach Lofton has played in all three preseason games and left an impression on Pistons coach Dwane Casey. He’s hoping to drop anchor in the NBA, preferably with the Pistons, after breezing through five college campuses over the course of a star-crossed college career. Lofton, 26, is a Minnesota native who began his college career at San Jacinto College, a Houston-area community college. He spent one season at Illinois State, transferred to Minnesota and was dismissed before playing a game, then on to Texas Southern for his junior season while being named conference Player of the Year and finally – last season – to New Mexico State, where he averaged 20 points a game. He went to Summer League with the Pistons and immediately made an impression for his ability to score and, beyond that, to create his own shot – an increasingly coveted trait in a heavily scouted league where improvisational ability is a trump card. “He’s a big-time scorer,” Dwane Casey says of Lofton, who’s already beat the odds for a training camp invitee by playing in all three Pistons preseason games so far and for more than a cup of coffee. He’s averaged 5.7 points in nine minutes a game, shot efficiently and not yet committed a turnover. With his checkered past, Lofton needed to prove his intent before even getting this far. Teams look askance at prospects with a resume like Lofton’s. He gets it – now – citing immaturity as his exorcised demon. 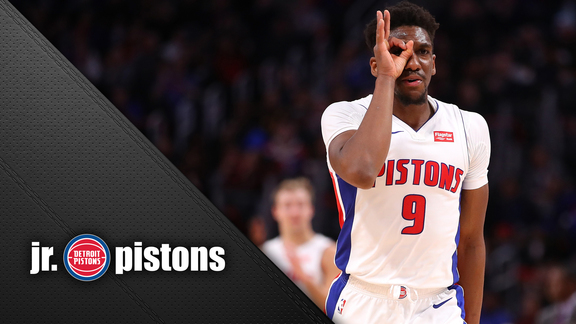 He’s finding those people all around him with the Pistons – in the front office that expressed the faith to sign him, the coaching staff that’s worked with him all summer and teammates that have been drawn to his infectious personality. Lofton, a 6-foot-4 wing player, is in a tough spot with the Pistons full at 15 guaranteed contracts and both of their allotted slots for two-way contracts occupied by Reggie Hearn and Keenan Evans. But it’s clear that Casey is taking a long look at him, which can only mean Ed Stefanski’s front office is weighing moves. The likeliest path to a future with the Pistons for Lofton is to add him to a two-way contract at the expense of someone else. While Lofton’s scoring and quick trigger on his shot are his carrying tools, Casey has seen more to him. Lofton is doing his utmost to not look ahead, to stay in the moment and squeeze every ounce from the opportunity he’s been allowed. Is he surprised that he’s already beaten the odds for a camp invitee?